The February 7 trade deadline passed at 3pm EST but the Hawks did not make any meaningful trade moves for the veterans as expected to turn them to 1st or 2nd round draft picks. Per league source, the Hawks also have no plans to buyout any veterans (e.g. Jeremy Lin, Kent Bazemore, Dewayne Dedmon, Vince Carter) still on the roster. Usually, buyouts for veterans will help them to play for other teams if the current team will focus on giving playing time to develop young players. I'm also told by a league source that the Hawks have no plans to buyout any veterans still on the roster. Hawks GM Travis Schlenk is expected to meet with the media prior to tonight's game against the Raptors. Should be interesting to get his thoughts on the team's decisions today. In the minor trade moves, Atlanta Hawks traded Tyler Dorsey who is not in the regular rotation to Memphis Grizzlies for Shelvin Mack who will be waived. Daniel Hamilton was waived. Lloyd Pierce begins his press conference by thanking Tyler Dorsey and Daniel Hamilton. Dorsey was traded to Memphis and Hamilton was waived. The main reason that the Hawks want to keep the veteran is if they’re not full tanking as expected to get Zion Williamson (next LeBron James) in the next NBA draft. Keeping veterans will enable the Hawks to win more games but at the same time reduces the chance to be the lottery/bottom teams with the worst records in order to get Top Draft Pick in the 2019 NBA Draft. Schlenk can build assets with draft picks by trading Bazemore/Lin/Dedmon but did not do it. Many will question him for not getting assets in the form of young players or the 1st and 2nd round of draft picks. Could it be that Atlanta really want to make a playoff run with the help of the veterans? We should tune in to hear GM Schlenk’s explanation regarding the Hawks absence of major trades. The Hawks is sitting at the 12th spot in the Eastern Conference with 18-35 record. They are 8.5 games behind #8 Miami Heat (25-27) . There are 3 teams between them (Detroit, Washington, Orlando) and the last two could be tanking after trading away Markieff Morris and acquiring Markelle Fultz. Vince Carter and Lin teaching Trae, Collins, Huerter about playoff intensity in their rookie years will benefit them tremendously to speed up their development. Could Lin be waived (and picked up by another team)? I’m very surprised Lin remains with the Hawks but glad he is still in NBA. Hawks likely asked for the moon from potential suitors and hence no deal was made on Lin trade. GM Schlenk said he likes the vibes of the team on/off-court in the last 25 games. Many Lin and Hawks fans disagree vehemently in the comments due to not playing for a contender and not getting assets back. Hope Lin gets at least 20 minutes PT for the game, not 2-4 minutes each quarter as he did in recent games. It’s not acceptable to his supportive fans, although I am confident Lin will make the best of any difficult situation. Even with trade lifted, Lin and Bazemore are still not starting. Goes to show they will be gone this off season. Bazemore will definitely be traded this off season if not he would start to build chemistry. Vince’s extended 3s are still automatic even at his age. If only Lin could long how to do that, it’d open up the game for him so much. Vince just takes those 3s with so much confidence. No trade or buyout for Lin. But ppl can still enjoy the anniversary of Linsanity. Off season will have big FAs so you never know what will happen. Audition for the Toronto BUYOUT — Free JLIN — Schlenk do it. They are making a legit run at playoffs, it’s quite obvious from how well their core rookies has developed. Collins is a legit rising star, Trae’s been shooting well, Huerter is like a poor man’s Thompson. Vince with 2 3s? Lin need to tap into his training for 3s. If Hawks win this they will be 3 games from 10th seed with Wizards and Magics both free falling! After that GM will look like a genius in the easy Eastern conference. Why are you capping Lins’ Mins before it happens? Lin just may get extra play to punish Raptors for not making a trade for him. Gasol trade makes absolutely no sense. To give up on Valentunis and CJ miles and pick just won’t cut it. They need a second playmaker besides Lowrey. VanVleet is just not up to the task. Raptors lack a big to hold down the fort, getting Gasol was the right choice. But they still could’ve gotten Lin if they wanted to. Gasol, Leonard, and Lowry are not enough to beat GSW. Not adding Lin was a big mistake. Sorry folks this is boring, switching over to watch Yuta who’s finally getting consistent minutes with Gasol gone. side note: Lin forcing his way to rim for that very heavily contested layup that rolled off rim and triggered easy transition for Raptors was JLin’s worst “turnover” current game, too. We should see if Atlanta will try to reach the playoff with this group. If yes, they’ll have no choice to play the vets (Lin, Dedmon, Baze) a lot of minutes to close out games in order to win. If they don’t, the vets can ask for a buyout. Atlanta is #12 in the Eastern Conference so they can’t afford to lose games if they want to reach #8 seed for the playoff. Finally the main guy of this board agrees with me! Been saying for weeks since the first road win that this team is going for the playoffs! You don’t win this many games if you’re tanking! With this win they will be 3 games behind Wizards (tanking) and Magics (not a threat no stars). Depends if they get interest from playoff teams. If not it’s jut half a season and Hawks are on a winning streak. TOR 15-5 run to start the 3rd quarter. Still no Lin in the second half yet? true, if playoff teams show interest and will give regular PT plus Lin’s health is good, buyout might be worth it. ATL tanking. If they get in it will be because they backed in, not like they were trying. Too many other teams are tanking. It’s become a talkathon of lousy basketball and more “fans” are bein g taken advantage of. It’s like who can get to the bottom the fastest. Who wants to watch this? Watch the game sees lin has played 12 min with 4 pts…Closes the game and watches a good one instead. Jlin does not look right. Their young players were all playing well for those wins. You don’t beat top teams like Celtics on the road without trying! Another year wasted another year of Lins career being wasted…he should retire and maybe become a coach instead. ref doesn’t like lin. Lin playing with no energy. Lin’s not interested in becoming a coach, with the way he’s treated there’s no way they will even hire him either. Need to take 3s, he’s avoiding those 3 point shots, only taking 1-2 lately. Lin’s been in a shooting slump lately. Just not himself. Seems like he’s ready to retire. he looks fat this game. there’s no help for Jlin, no screens at all from his teammates. how does LP expect lin to score. Raptors are packing up the lanes. Playoffs loooooool you find ways dude Lin is playing under 20 min in games these days what makes you think they’d feel forced to play him to make the playoffs? Lin seems to have become a Vince carter…just a good locker room presence..He’s more than that though but thats where his career is heading if he doesn’t change. Limited minutes, no plays, and 1 year rental. This could be his last year in the league yet he’s playing with zero fire. Raptors’ learned from the Heat to clog the lane knowing Lin’s afraid of taking 3s with defender at the arc. Lin needs to make them pay through shooting contested 3s. If he doesn’t get a team with a coach who lets him play im all for him having his last year. told yall he is a hawker. Then I hope he joins his brother in Taiwan. Want to see both Lin brothers passing to each other for scoring, now that would be entertaining! Lowry and Siakam with 33 and 34 minutes already in 3 quarters. unless they start lin and give him the helm. And no pick-and-roll plays for Lin either. Having Spellman as the big man in the 3rd quarter didn’t help either. Where’s John Collins/Lin pairing? poor game by Jeremy tonight. No help. not aggressive. he’s tired today, no energy at all. Lin doesn’t look like he’s having fun out there. Probably felt some disappointment not being traded? signing out. till next game. No fun in watching him like this…i’ve stopped watching the games altogether..
May be time for Lin to retire? Toronto took him out of the game. Good job. And no help from his coach. Lin has no issue going for his own mid range and layups with no screens. He can also stop and pop for a 3 after half court but he hasn’t been doing any of that. He needs to learn how to shoot 3s off dribbles to become relevant again. If not I honestly think it’s over for him. It’s the Raptors if Hawks can hit two 3s they’ll be back in this game. Doubt it. Lin’s not like those bench players who are desperate for money. Even if he was going to join a team it’d be Taiwan with his brother not China. I think it’s a combination, no sleep last night and not being traded, as well as not able to perform like his old self due to the injury. Speed is just not there and not able to get by defenders or defending like he used to. something else is bothering him tonight. He didn’t force things out there. Perhaps a bit of disappointment from no trade. could be true due to a lot of factors. Something is off tonight. He didn’t play with the same intensity as in the previous 2 Raptors games. Perhaps but Lin’s been on a shooting slump ever since that Raptors game. Hasn’t been playing like his old self since that Raptors showcase weeks ago. OKC announcers talking about how Brooke Lopez changes his game mid career to shoot 3s (Nets). If Lopez can change his offense to shooting 3s, so can Lin. In fact that was what he should’ve done when he signed to the Nets, focus on shooting 3s and changing his game. 7th season in and Lin’s still hasn’t improved his 3 point skills which is now the main focus of the entire league. Not going to get much offers if your 3s aren’t there. Both Lin and Baze went 2-7 with 15-17mins tonight not coincidence. Both are tired from last night’s trade deadline wait. Not starting these two is so disrespectful. Hawks could be a serious contender but choose development of rookies over all their vets. JLin’s a fool for 1) not asking for a buyout, and 2) continuing to insist on playing the “right way” instead of going rogue on team like me-Lo. Exactly why Hawks got him, knowing he won’t look to score more himself or complain. Just hope Lin gets another decent contract after this season. There is still hope for the league. Yuta Watanabe got 26mins, 10pts and 5 rebs, 3-8 tonight. So happy for him after having so many 0mins games for entire half season and wasting time in G league. He gets iced in the corner and passes too much but keeps moving to get open or chance to touch the ball. He really should be used like Doncic as the main ball handler with his playmaking and passing skills. Rajon Rondo KiLLS Celtics in Boston Return! 2019.02.07 | Lakers vs Celtics | – 17 Pts, 10 Asts! Hate to say it but lin maybe conflicted with religious values that doesn’t mesh with the rule of the jungle that is so prevalent in the nba. It’s messing with his mind and confidence. Ugh, Jeremy shot himself in the foot by playing nice and making the GM keep him! Not a sport any more. Was checking in all afternoon. Saw nothing happening. Went back to work. LOL. Disappointed for Lin, but not surprised. Once “big names” like Conley started muddying the waters. Just like post-Lakers free agency, Lin was not priority in the League. Had to wait until the “big names” get signed first, and then see what develops. Probably will be the same scenario this coming summer. Don’t know how much Schlenk kept Lin and agent in the loop. Don’t know if Lin may even feel relieved to get this deadline over with. The biggest one was probably Markelle Fultz to Orlando. Clifford not known as developmental coach. Thought Orlando was getting back into win-now. Guess not. Lin out. The only other one that might be relevant to Lin is Toronto also traded Delon Wright to Memphis. Doesn’t Toronto need MORE PG help, not less? I don’t think Gasol is enough of a game-changer for them. After all the trades, looks like Toronto has several open roster spots. To be filled with Vets in buyout market? Who knows? Meanwhile, the season goes on. Can’t believe that two-thirds of season is over! ONLY 28 games left! Looks like VanVleet went off tonight. Career high 30 points. Siakam also career high 33 points. Hawks’ defense still has a LOT of holes. The other issue is “live by the 3, die by the 3”. When Hawks were hitting them, they went up by a lot. Once they couldn’t hit them, and with bad defense, it was over. Whether it’s biased refs or not, the Hawks just don’t get to the foul line as much as their opponents do. Lin didn’t try to attack the rim this game. Just one attempt that was blocked. Went for the floaters instead. OT, another knock on the NBA. Yeah, it’s all about “business”. yada yada yada. Some heartfelt words from Nick Nurse about Jonas Valanciunas (who was traded to Memphis as part of Gasol deal). This was dated Jan 3. Lin originally DEFINITELY part of Lunar New Year Night and the Meet-and-Greet. Don’t know if this was posted. Harvard Crimson writing about revisiting Linsanity. The writer got a few details wrong, and a bit too much repetition. But, seems like everyone has been celebrating the 7th year anniversary of Linsanity. I’ll be very disappointed if Lin doesn’t ask for a buy-out…What’s the point in staying on a bad team where you’re not even guaranteed regular 20 minutes. I guess recovering from catastrophic patellar tendon injury has nothing to do with it. No reason why he should have some ups and downs. LOL. What tendon, you don’t need tendon to run. I eat tendon for dinner…got a little gout problem though. Too much meat. Summer would be a better time to get into a worthwhile contract. Hope we get better news in couple of months. Because Lin has to feed Collins who’s been shooting well but doesn’t pass to him for open shots, well no one on this team does. Yet Lin doesn’t act like recent g leaguers who are trying to secure their spot. Raptors has Lowry and Leonard who will be the starting guards. There’s no place for Lin to start. Oniy reason he would go there was through trade for playoff run. Lin doesn’t seem to understand he’s playing for his next contract and need to get his points and 3 pointers up. $13M+ is a mighty good reason. The problem is this team is currently prioritizing its young players, thus the reason he’ll only be getting about 15-18 minutes from that point on. This is why most Lin fan wanted him traded to a team that doesn’t have a bias toward young players. I don’t think Lin is still owe $13M since NBA player gets paid in incremental..so Lin is probably still owe “maybe” 4-5 Mil…Not sure but Lin has probably gotten more than half of this $13M. If he gets a buy-out, his next team could offer him maybe 2M to make up on the money he’ll have to give up to be bought out. Bias exist but once on the floor it’s up to Lin to create for himself and continuously move to get to open spacd just like when he exploded onto the floor before Linsanity. He played like it’s his last NBA game. Watch Yuta’s last game. He kept being iced out at the corner but he’s smart in moving to open space or when someone iso. Those who get stuck after dribbling for iso will be forced to pass when he moves next to then. There are no plays for rookies or bench players on Memphis and it’s everyone for themselves just like every team Lin’s been on. The Hawks may want to re-sign Lin with a multi year contract as backup PG. It’s not easy for Lin to find a starting PG job in this league now. Lin probably could do better than playing for the Hawks while getting less than 20 minutes a night. Trae will be playing around 30-32 minutes a night so Lin won’t get enough minutes there anyway. Given what Lin is now, starting PG offer is out of the question. The question is how many teams will value Lin as 6th man main scoring force from the bench, not just backup PG. We all know what Lin can offer. But what those FOs/Coaches perceptions are? That’s the question. Lin doesn’t get the time for rhythm which is very important..During Linsanity, he had all the minutes + freedom to run the offense. But my guess is Lin is now satisfy with his current status. He now doesn’t mind playing 15 minute a night…He probably lost the will to compete at a high level. 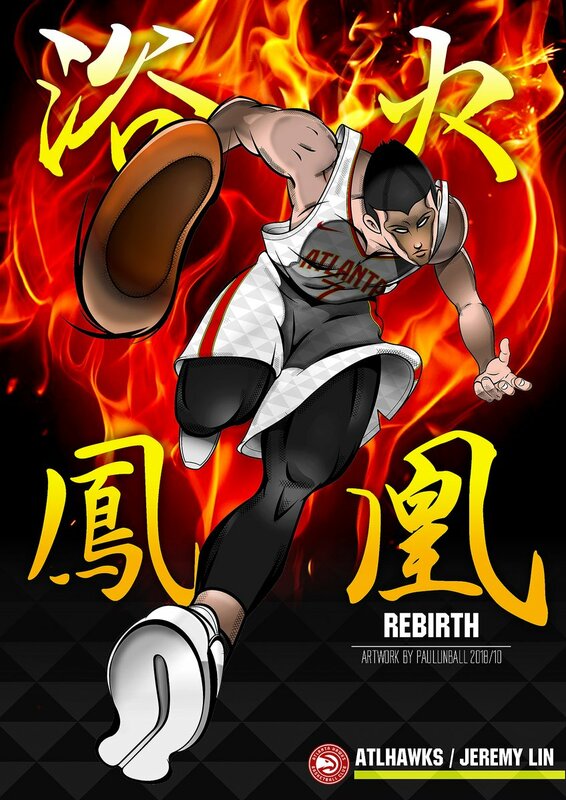 As for Yuta, he hasn’t done anything to opine that Lin can learn from him….Lin is simply in a bad situation and as I’ve stated, he probably fully accept he’ll never be nothing more than a decent back-up PG. If his stats continues to drop, I don’t believe he’ll have many suitor for his service…that’s what playing for a bad team does to you, specially if your stats doesn’t look that great. I know how discriminatory NBA is. I used to love NBA so much but now, I see how Asians are treated by majority of African Americans and their white partners. I def. watch less NBA games. I don’t buy any NBA goods or season pass. When there is a true global bb league, then I probably watch bb again. This is going to be just like the Tankers starting in late March [ http://disq.us/p/1k13rmh ], when veteran laden second unit that could get extended stops was broken up, then Lin had to start baby sitting D-Leaguers on second unit, too. And we haven’t even got to the All Star Break this year, either! Lin needs to go rogue and become such a bad influence on Trae and other young Hawks players that Schlenk asks Lin to leave team. Just ask coach for playbook like Taurean Prince so he can say he knows every play as well as coaches, but just shoot the ball every time a teammate passes it to him. I want to reiterate that it matters little what Schlenk says about the veterans at this point, because if he’s presented with a DEAL that offers salary relief plus another roster slot for a player that provides no future value – Schlenk would take it. “If the Atlanta Hawks go ahead and waive Jeremy Lin, expect the Raptors to pounce on the opportunity to land him. With Delon Wright headed to Memphis the Raptors lack point guard depth behind a somewhat injury prone Kyle Lowry and Fred VanVleet, so acquiring an additional player who possesses a strong ball handling ability and can initiate the offence is key. Uh, this is it? Cash for helping the Celtics trim costs—Bird will be waived, per Wojnarowski, as will Mack, per Chris Vivlamore of the Atlanta Journal-Constitution—and nothing else? No prospects or picks to eventually help John Collins, Trae Young and Kevin Huerter whenever they’re ready to compete? Dewayne Dedmon, Jeremy Lin and Vince Carter should’ve all interested contenders as rentals. Kent Bazemore and Taurean Prince would’ve worked for anyone in the three-and-D market. While it’s unclear what specifically was available for them, the names buzzed loudly enough to know the Hawks could have—and should have—recouped some kind of forward-focused assets. You can switch to watching Yuta Watanabe, also facing bias but at least he’s getting some 26 mins with the young core after Gasol left. Disagree there many things Lin can learn from other fellow players, 3 pointers and offensive skills for example. Also 7 years if poor treatment and coming age and injuries wore him down. We’ll see what happens next seasonif there is one. Wes Matthews and Ellington are in the buyout market now. I hope Team JLin will try to negotiate a buyout but there’s a lot of factors (e.g. health/back, moving, interested playoff teams) with unknown risk/reward to consider. So I trust they will make the best decision for Lin’s career since we are not on the inside privileged to know all the information to consider. Let’s support him 100% wherever he goes (or stay)! Not getting traded might be a blessing in disguise. I am sure Lin knows man plans,but God directs. Hawks know the value in Lin as a back-up insurance policy – what if TY gets a season-ending injury? ATL Front Office deserves that Grade D.
IMO Schlenk did this for self-preservation. He’s scared sh*less about losing his job over passing up Luka & is pulling out all stops to ensure Trae’s success, including letting Lin walk for nothing at end of season. That makes sense. Missing out on Doncic definitely reflects badly on ATL FO so keeping Lin/Dedmon/Baze to help ensure Trae’s success this season might be a big factor. His movement doesn’t seem right as of late. No confidence in shot selection. Don’t see the fire in him. Hope all is well with him. He need to stop taking those dumb charges. I can’t blame Lin to do the right thing that he’s been doing. Mentor, play hard, play for team. GM doesn’t do the right thing for his franchise’s future by focusing on keeping vets to help make Trae look better, not as bad as Doncic. Tough break, but let’s see what happens next. I believe Schlenk when he said in preseason that he hopes Lin to mentor Trae. He saw what Lin did in Brooklyn and liked it. But what changed could be how ATL played better in the last 25 games so he probably hopes if ATL can reach the playoff, his draft pick in Trae will look better than Doncic. Or at least not as bad. Pretty much everyone not in ATL agrees Doncic is a better pick than Trae at this point. During that run he could make 3 turnovers and still be told to be more aggressive, now he’d be yanked by committing 1. If Lin took the shots that Prince took or tried launching 3’s 3 ft behind the line he’d be benched before the shot clock ran down. Our boy is doing the best he can in a biased situation. People saying he should do this, he should do that, he should…makes me so mad I eat vegetables for dinner. At this point, expiring contracts is what the team needs. Baz, Dedmon and Lin are still useful to the team to play meaningful minutes.. Atlanta will have enough draft choices for them to develop in the future and are not their urgent needs. I think this team will keep Dedmon and Baz for the next season but Lin will have better opportunity as a free agent. Anyway Jeremy has exceeded expectation and an off season is what he needs to recover from his back injury and refine his new game. Why should I worry? Lin has been making good decisions in his career. After this season, he will still be able to compete in NBA. Ad his fan, I am looking forward to the next season now. He needs to make better decisions on the court. Like shoot when open and not over dribble and turn the ball over. He needs to not take charges to save his body. Sometimes he seems like a rookie out there for some reasons. You hardly see Chris Paul nor curry take charges. And when they do, it was for meaningful games. – Dedmon said he wants to stay but Lin wasn’t available due to the Post-Game CNY Chat with fans. – What Lin plans to do is unknown right now, but the thought is if he can find a situation that grants him more playing time than what he’s getting now, he’ll leave. Dewayne Dedmon texted his agent and asked if he had the answer to his future. Dedmon’s agent, Mike Silverman, responded with a simple, “We’ll talk at 3 p.m.” text. The NBA trade deadline came and went Thursday without Dedmon having to uproot his life. The same goes for Jeremy Lin, Kent Bazemore or Taurean Prince, who were all shopped around by the Hawks. The only casualties on the Hawks’ roster were Tyler Dorsey, who requested a trade out of Atlanta because he wanted a chance for more playing time, and Daniel Hamilton, who was waived. Now that leads us to what’s going to happen with Lin and Dedmon, who are both on expiring deals. According to sources, Lin was expected to be moved. It didn’t happen after there wasn’t much interest in acquiring his $12-plus million salary for a backup guard. It turned out the interest in Lin prior to the deadline was a bit exaggerated. Dedmon not being moved was a surprise to multiple people who spoke with The Athletic. His salary is very movable at $6.3 million with a $900,000 incentive that he’s close to reaching if he starts in 41 games (he’s up to 33 starts). Teams were interested in acquiring the Hawks center, but none of the teams wanted to include a second-round pick, which matched Schlenk’s goal of acquiring future compensation. Schlenk didn’t talk specific offers, but he did say he listened to numerous pitches but ended up not trading any of the key contributors because the teams didn’t match the Hawks’ goals of future financial flexibility and future draft compensation. Atlanta was not interested in trading for any picks in this year’s draft. The Hawks could end up buying out the contracts of Lin and Dedmon in the next few weeks before the March 1 deadline, which is when players are still eligible to play on postseason rosters, but the Hawks will not buy their contracts out unless specifically requested to do so. If Lin and Dedmon decide they would rather play for a team contending for the playoffs or they are just not happy, Schlenk will send them on their way. Dedmon made his intentions known to The Athletic on Thursday after a 119-101 loss to Toronto that he plans on playing the rest of the season with the Hawks. Lin wasn’t available for comment after the game as he left the locker room before postgame availability to attend an event celebrating the Chinese New Year with some fans. What Lin plans to do is unknown right now, but the thought is if he can find a situation that grants him more playing time than what he’s getting now, he’ll leave. The problem is most teams have a starting point guard who is better than Lin at this point in his career. Orlando, a few weeks ago, would have made a lot of sense when it looked like the Magic were going to have a chance to make the playoffs, but that doesn’t appear to be the case now. The Magic did make a trade involving a point guard Thursday afternoon. Orlando acquired former No. 1 pick Markelle Fultz in exchange for Jonathon Simmons, a protected 2020 first-round pick and a 2019 second-round pick. ESPN’s Adrian Wojnarowski reported Wednesday that Atlanta and Orlando had interest in Fultz. The team did receive calls about Prince and Bazemore, but talks never seriously progressed with either player. Bazemore said he slept 9 hours and 45 minutes Wednesday night without a worry on his mind. Prince drove to State Farm Arena early Thursday afternoon with the same mindset, although there was a little doubt leading into the day because he was fully aware that his name was in trade conversations. There likely will be new faces in the locker room in the coming two weeks. The Hawks have two open roster spots and have to fill them. Schlenk said the team will start looking at younger players across the league and in the G League. He’ll canvass the waivers, too, and see if any of those players fit and bring some players in on 10-day contracts to see if they fit long-term. Hawks head coach Lloyd Pierce said his involvement with the deadline was minimal. He gave his input on every player and players across the league, but his involvement didn’t go much further past that. That could be of note in regards to Fultz as Pierce was on the Sixers’ bench for five years prior to taking the head coach job with the Hawks. While the team made zero moves of importance, the goals of the season remain in place — growth and development. Pierce and the staff may be doing too good of a job with that. Out of the bottom nine teams entering Thursday, Atlanta was the only one with a .500 record in its past 10 games with New York and Phoenix losing every one of those games and not at all hiding the fact they are tanking. Schlenk was asked if he’s at all nervous about the Hawks ending up with worse odds at the No. 1 pick than most predicted at the beginning of the season. He said no, before jokingly saying, “Maybe the next morning.” The truth is not many inside the organization and outside of it thought this team was going to be as “good” as it is. There’s a very real possibility that Memphis and Washington could end up with worse records than Atlanta at the end of the season and end up hurting the team’s lottery odds. It might have been a quiet and disappointing deadline day for the Hawks, but there doesn’t seem to be much worry inside the organization, which has a solid core with John Collins, Kevin Huerter and Young. seems like teams are only offering a 2nd round pick + multiple year contract for Lin. hmm. if that’s the case, I wouldn’t do the trade either as 10-12M cap space can be useful to a 1st round pick when other team(s) need to do a salary dump to get under the luxury tax, albeit it will be a protected 1st, but still better than a 2nd. If it is Lin’s market now, it doesn’t look good this summer if he continues to be yoyoed in minutes play. I really hope he asks for a buy out and join a playoff team. 10-15 minutes meaningful and impactful minutes are much better than 20 yo yo minutes. Even if he sits on the bench with the new team, it makes no difference comparing to playing like sxxt with the Hawks. I don’t buy that he wants to keep his health by playing safe. It is not in his nature. And injuries can happen whenever you are on the court, whether its 10 minutes or 30 minutes. It can’t be predicted. Lin, please. If you want to be a nice guy, a team ball guy, to play the right basketball, go to a team that appreciates your value to maximize your impact. Not this tanking team. Ask for a buy out and seek winning, even as a bench player. If you want to continue your NBA journey, this is a critical period before next contract to promote your skills, not reduced to 15 min role player with 7FGA standing in the corner. Please, be selfish, at least once for your loyal fans here. After reading this article, I’m a bit hopeful Lin will indeed ask for a buy-out instead of staying to only play 15-18 minutes. Hopefully, his low minutes will force him to ask for the buy-out. He’s in a contract year and the low minutes will bring down his stats + his free agency. Teams like Miami, Detroit and Clippers could be good fit with more minutes for Lin….Hopefully, his agent is doing his job by contacting people to gauge interest in Lin. He’s made enough sacrifice on behalf of others and now is the time to start thinking about himself. I fully agree with this sentiment…I’ll take 15 minutes on a playoff team instead of maybe 20 minutes on a bad team. Also, the problem with Lin’s minutes is they usually come in short stints of 4-5 minutes before LP subs him out…These short stints doesn’t allow for rhythm. Last night, LP did play Lin a bit longer stint but that was because they were playing very well. Agree here..Lin is simply in a terrible situation with huge bias against him, so we can’t really blame him for not shooting 15 time a game.. I was talking about yuta in particular, not others players. Yuta is fighting for his spot and I wish him well. The key here is to “get out of Atlanta” by asking for a buy-out. If Lin doesn’t do that, that would tell us he’s waving the white flag and is now okay to be a 15-18 minute back-up PG for the rest of his career. And remember, Lin will be 31 next season which will make him less appealing to other teams…So he need to get going as soon as possible by asking for a buy-out. Here’s a list of guards who are doing less than Lin while getting more minutes. Now, I didn’t go over every team, so there’s more, including starters who are averaging a bit more point than Lin but with less efficiency. Fred VanVleet –10.7ppg on 27 minutes and 9.3 shot attempt. Austin Rivers — 8.7ppg on 28.4 minutes and 8.2 shot attempt. I hope the quote below is true and Lin’s agent is going through back-channel to gauge interest in Lin and amount of minutes. Good to see LeVert back on court after the awful injury. Lin must be happy for him. I also hope Lin’s agents to do their due diligence which playoff team will really use him before considering a buyout request. And self-preservation is not selfish to do what’s best for a player’s career, just like GM Schlenk did for his own career by not trading the vets to help prop up Trae’s performance so missing Doncic won’t look so bad. Lin can definitely learn from watching Yuta cause he’s dealing with the same things but in smarter ways! He mainly coast past half court which saves energy without over helping on defense. When a player loses his guy that’s on them, Yuta doesn’t go out of his way to help unless it’s to trap or block. There’s no hesitation in taking shots or misses. He’s iced out at the corner just like Lin but instead of being sad and just standing there Yuta keeps moving into the center next to the dribbling player or under the base line. Eventually those selfish iso players will get stuck after dribbling and will have to pass to Yuta if not it would look awkward. Imagine a player just dribbling with no where to go and a player standing right next to them it’s puts pressure on them to pass the ball. That’s how Yuta got more touches and those are tricks Lin can learn to make his game easier. Lin’s playing like he’s still a young rookie instead of picking and choosing his battles. Play hard tough defense and pushing the ball up half court when there’s no immediate fast break is a waste of energy. That leaves nothing for his legs for shooting and he needs to balance them out. I agree that’s the key factor to consider being yo-yoed in minutes. He didn’t even get to play with Len or Collins to make more impact in his playing time in the last game. Regarding health, there might things that we’re not aware. We know the 12/5 back injury caused his 3FG% to drop. Did it also impact the overall health after 54 regular season games? I hope not. I agree injuries can’t be predicted. Team JLin probably is more concerned about a consistent role that a playoff team will offer JLin before considering buyout request. It’ll be worse if Lin moves to a team who is not a good fit and misuse him. Let’s hope they identify that one or two playoff teams interested in JLin before March 1. There was an online article I wish I had kept to share that mentioned TOR needing to jump on Jlin to help mitigate their weakness. I hope its true and that Jlin’s camp read it or heard about this same need on the part of TOR. Jlin is 30 y.o while Kyle Lowery is 33 so Jlin is a fair amount younger than Lowery too. Be another big pick up for TOR after trading for Marc Gasol. Be nice for Dedmon to back him up. Yes, it was a relief that LeVert wasn’t hurt as badly as originally thought. Nice to see him back. A good guy, humble, gave respect to Lin. Yeah I know, Lin no longer on the team. But, decency would have been to still applaud him for his recovery, from a much more serious injury suffered WHILE A NET. SMH. In hindsight, so glad Lin is outta there. Would have gotten NO minutes. Wouldn’t put it past Sean Marks to have just waived Lin. That’s why I can’t get angry with Travis Schlenk. At least he gave Lin another chance. And at least recognizes and appreciates Lin the person and Lin’s character. NIIIICE! Thanks for compiling these stats. Confirms what we Lin fans already know. If I said it once, I’ll say it a hundred times about Lin. These stats, with even more advanced and proprietary data available to teams. There’s no way teams don’t know what Lin brings to winning. The fact that Lin isn’t valued has nothing to do with ability. And everything to do with discrimination and cowardice. Front offices are bullied by the League, and don’t have the guts to take the risk. If they fail by going with Lin, they are afraid they’ll be laughed at. The way that Lowe-life made fun of Schlenk for trading for Lin this summer. No stat is perfect. But, that’s why Per 36 minutes stats are also good for comparison between players. For the record, I’ll post just 3 STARTERS to your comparison. To add to your point about if Lin had the same minutes and FGA. Lin’s eFG% .520. Such BS, whose opinion is this? The writer? Schlenk? Other GMs? As ZCode indicated, THE STATS DON’T SUPPORT THAT LIE. I think what is closer to the truth is that “most teams have a starting point guard who is ALREADY ESTABLISHED and ACCEPTED”. They would rather lose with those guys than win with Lin. LOL. Tough kid! Just like Lin! He also keeps picking up his dribble. Just look to score first and pass second. Lin played best when looking to score how difficult is that to understand? Here is another article from sports net.ca: https://www.sportsnet.ca/basketball/nba/questions-loom-raptors-rolling-dice-gasol-valanciunas-swap/ If TOR starts Ibaka at center where it says he does well, then Jlin/Gasol would lead a potent second unit especially if they get Ellington. Though most would look at the 2nd unit for its offense in Jlin and Gasol you have two high caliber defenders and playmakers. It almost makes too much sense for TOR not to try this combo. As for Lin going to Toronto, he’ll have to ask for a buy-out but it doesn’t look like he will do so. I’m also not convince the Raptor is the best fit for Lin in case of a buy-out. They still have 2 PG and Lin would only be assurance in case Lowry gets injured. raps already filled their required 2 empty roster spots with an unknown g leaguer and ben mclemore (waived by kings or somebody). Don’t agree that he has “accepted he’ll never be more than a decent back-up PG”. Agree, Lin is just not fitting into the Hawks time-line. One ball. 9 – 10 players. 48 mins. Lin doesn’t play enough minutes to launch 15 shots a game. Unless he ball-hogs. Which will probably end up with even less minutes for him. He’s not a ball-hog anyhow. I like Yuta too. But this is too much. Time for you to start a YutaWatanabe dot com fan site. Another follow-up article on Lin’s potential for buyout. Translation: Lin made it clear that while he’s going to do his best in the limited role/minutes that the Hawks give him, he’s still very competitive and want to start/play off-the-bench with more involvement. He’s not happy with his current role but will be professional to do his best. His agent will seek the best playoff-bound teams who will give him that role. GOOD NEWS! He’s still the same Jeremy Lin who gave birth to Linsanity in 2012. But Lin will be a free agent at the end of the season, and his lack of playing time likely isn’t going to land him a lucrative offer when it comes time to sign his next contract. And when asked if he prefers to stay in Atlanta through these next few weeks before the March 1 deadline, Lin, unlike Dewayne Dedmon, who said he’ll be playing with the Hawks through the rest of the year, couldn’t answer directly. You are not wrong. The PROBLEM is he may not be able to find a team that will commit to signing him. There has to be DEMAND for him. There has ALWAYS BEEN EXCUSES for why teams don’t want him. Heck, his OWN “FANS”on this site criticize him for not being good enough. Is it any wonder that NBA front offices either don’t value him enough. “Too many turnovers, he can’t go left, he doesn’t play defense. He’s not scoring enough. His 3’s not good enough. He’s injury prone.” Blah blah blah. According to this RaptorsRapture article from this morning. Raptors have FIVE open roster spots. And if the Raptors think McLemore will be able to help them win playoffs, even if for 10 minutes off the bench, or as insurance for Lowry, who averages 34 minutes. Then Masai Ujiri is TRULY DELUSIONAL. And the Raptors will deserve to fail. Thank you! Go Lin go! It’ll probably get the same minutes..probably around 15-18 minutes…Since Bazemore and Prince have been back, Lin minutes have declined. My guess is if he start the game shooting well, he’ll get an additional 3-5 minutes. They’re about the same as before the trade deadline. Bazemore is also playing with the bench alongside Lin and getting the same minutes. No way will Hawks give them time knowing they are not psrt of their future. 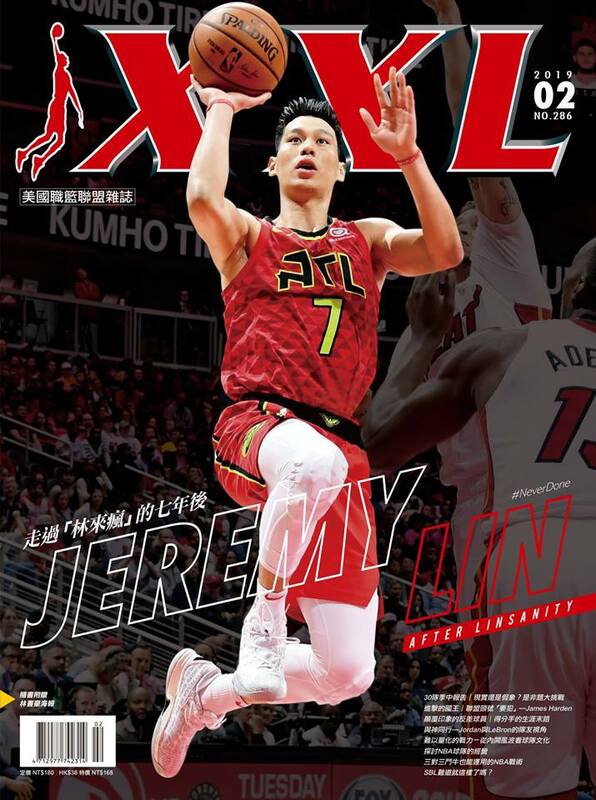 Hope for a buy out..Lin has no future in Atlanta and should not sacrifice the possibility to gain a lucrative new contract by playing more minutes elsewhere. Raptors might not even have Leonard next season. There’s no need to give up 1st round pick for Lin when he’s available this off season. If Leonard leaves, those assets for Lin will be wasted. They can certainly sign Lin to a lower 2-3 year deal if Leonard leaves. Yes but a deal needs to be made with a playoff team and with secured minutes. If not the risk of losing money and still getting nothing is too much. Ex. If Raptors or Lakers want Lin then he’d bolt for sure.